• Help people move around your city, and make money on your schedule. 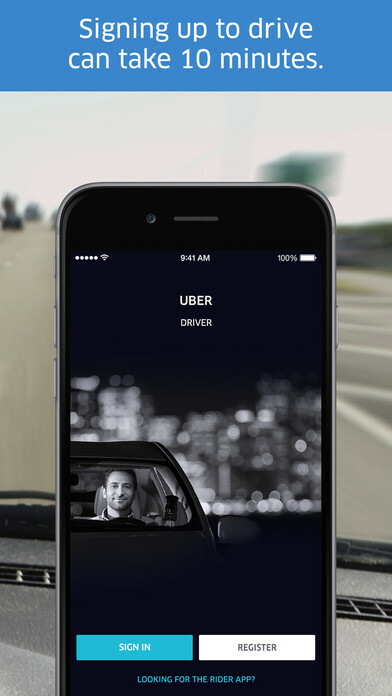 Drive whenever you want—Uber offers a flexible way to make extra cash on your terms. No offices, no bosses. • Download the Uber Driver app, and sign up to drive in the app. We’ll guide you through the steps and notify you when you’re all set to drive. • The app offers the latest features that help you focus on driving and making money. • We’ll explain how to use the app, provide optional navigation and Help support, and let you know when there are special opportunities to make even more. Every trip you take is fully tracked by GPS for safety and security. • You can see how much you’ve made anytime after every trip. You’ll be paid directly to your bank account every week, or receive cash on each trip—depending on the country you drive in. You can download the app from the appstore for free.